Looking for a House Cleaner? Keeping a home clean can be a never-ending chore that consumes much of our free time. If life seems to revolve around mopping, vacuuming, dusting and changing bed linens, hiring a professional housekeeping service in your area may be the solution. This guide covers everything to expect from a housekeeping or maid service including package options, what questions to ask and what they charge. This guide is for a service, not a live-in housekeeper who typically has more responsibilities such as laundry. Depending on your location or the company you use, these services are referred to by several names: housekeeper, cleaning service or maid. “Maid” historically referred to a salaried, live-in employee of wealthy homes who ran the household much like a butler. Today, it’s just another name for a housekeeper. 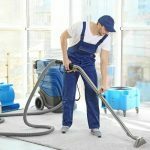 What Services Do Cleaning Companies Offer? Choosing the right service is a straightforward process of research and asking the right questions. This guide covers all these steps to getting the right service for your needs. Find out what services cover. Determine your budget and what you really need done. Interview services and ask the right questions. Understand what to expect when the service starts. Before you choose a housekeeper, ask yourself if you really need it. If what you’re trying to avoid is a cluttered mess, you may want to opt for a personal organizer. They organize your space, design better storage solutions and help you get – and stay – clutter free. Maid service are varied and specialized. Most service companies start with a base package then move into specialized ongoing or one-time services for your specific needs. Special house cleaning services are often available for larger jobs such as garages, post-moving or post-construction. One-time assistance on special occasions. Demanding tasks such as garage or basement cleaning. Events – before and after. Some companies also offer gift certificates. House cleaning needs vary greatly based on your home size, location and what you really want and need. With most large companies, you can expect a basic package with optional services. Most plans start with a deep clean which covers the entire home. One-time visits tend to cost twice as much as a regularly scheduled recurring visit. But how much is your free time worth to you? The average American spends about 13 hours per week doing chores. Maid services cost an average of $150 per visit. For independent housekeepers, expect to spend between $40 to $60 per visit since they charge between $25 to $35 per hour. Service providers charge per hour or per area as a flat rate – the larger the home, the higher the price. You may be quoted more per hour for a professional company, but they generally work in teams to get the job done quickly. Standard Weekly, Bi-Weekly or Monthly. Optional Services Addons to the standard package if you need something specific. One-Time Services Includes anything from standard and optional services in rarely used areas or prior to special events. You have two choices when it comes to getting your home cleaned: A private housekeeper or a larger professional company. You can also hire a local maid referral network for a mix of both. Independent house cleaners work on referrals and recommendations providing a trustworthy service on a budget. You should still have these professionals complete a background check before hiring. Larger organizations screen their workers beforehand. Need to find a pro for your Cleaning Needs? Much like any service that will come into your home, you’ll want to follow a few guidelines. Make sure to interview services and determine what you need done and find out what they cost. 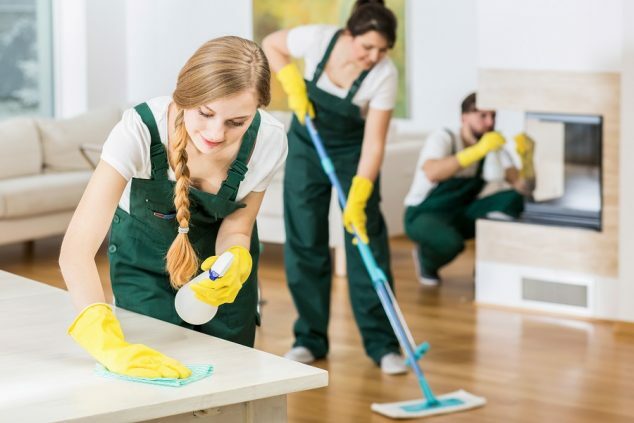 It is common for a housekeeper or team to arrive at your home equipped with all the necessary supplies for the job such as solvents, brushes, brooms and vacuums. In some cases, a service will request to use the homeowner’s supplies. 3. Set clear boundaries and cleaning expectations. 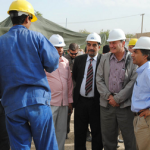 Before any work begins, determine the exact scope of the services you need. You may also want to negotiate additional chores above a regular cleaning routine, like laundry. Get all of this in writing beforehand. Consider co-creating a list of expectations and responsibilities of the service. Be very specific and don’t expect the professional to know exactly how you want something done. 4. Designate areas to be cleaned. 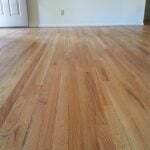 Spend a few minutes going over areas you want cleaned regularly. 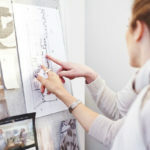 If it is important that certain areas receive special attention each visit, point them out. Let them know what concerns or spaces are your top priority. Make sure you find a service that is open to custom requests. Prior to each visit, be sure to leave a list of problem areas. 5. 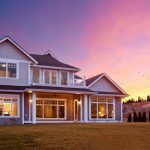 Find out if there is a charge specific to your type of residence. 6. Discuss payment for cleaning services ahead of time. Discuss payment arrangements before your first appointment. The service might have an established system in place already. If not, decide if you want to pay after each visit, or monthly. Be clear about included services and expectations in the cleaning service prices. What are your rates? Also find out if it’s by the service, hour or square foot or a flat fee. Do you do background checks on your employees? If they do, ask to see them. Are you insured and bonded? Also ask about workers compensation insurance. 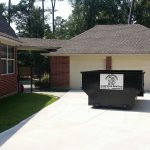 Most of these professional services are fully insured and bonded and will provide estimates. Who supplies the cleaning products? You can also ask about environmentally friendly products. Some companies bring their own while others requires you to supply the chemicals. What guarantees do you offer? You’re paying for a service that you should be 100% satisfied with. Do I need to crate my dog or cat? If you have pets, discuss this ahead of time. How will you get into my home? It’s best to get a full list of anyone who has access to your home. Will it be the same crew every week? How long have you been in business? It’s also a good idea to make sure your cleaning company has a physical address to avoid scams. Can I get all this in a written contract? 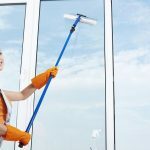 How Do You Select a Drapery and Window Cleaning Home Service? Some maid services offer drape and upholstery cleaning. 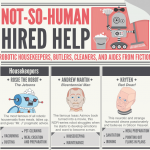 Check with your housekeeper first before seeking out a specialist. If the cleaning is beyond your housekeeper’s ability, they’ll let you know. You can find window cleaning companies near you using our directory of licensed specialists. Can a Cleaning Lady Clean My Carpet? Yes, a cleaning pro can usually do your carpets though it is typically at an additional charge. You may also need to pay for equipment rentals. 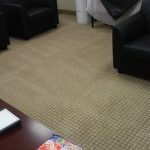 Carpet cleaning costs an average of $175. Can I Hire a Maid to Clean my Gutters? You usually cannot hire a maid to clear out gutters, though some do offer light yard work services like watering flowers. Roofing, siding and gutter installation contractors typically offer exterior home services. You can search our gutter cleaning service directory to read reviews and find licensed professionals in your area. Can My Housekeeper Clean Ducts and Vents? Housekeepers typically don’t do vents or ducts. You’ll want to hire an HVAC professional for this type of work. Cleaning ducts and vents costs an average of $350 but are only necessary once a year. To find a good housekeeper, use referrals, recommendations and reviews for independent cleaners. For licensed and bonded companies that guarantee their work, use our maid service directory to read reviews and find qualified professionals in your area. I had two wonderful ladies clean my home yesterday. What a great. They were the best ever. Girls were awesome….perfect cleaning….can’t thank them enough. Will have them again and again. Do you also tip and how much.